Indian Head Massage is an ancient Ayurvedic healing system practiced all over India for thousands of years by everyday man and his family to royalty. As the head holds many pressure points relating to the rest of the body particularly to the emotional centres in the brain, Indian Head Massage is particularly effective for emotional/mental stress. At Green Tara we pride ourselves on the unique and beautiful Indian Head Treatment that we teach. Our Indian Head has been taught and refined over ten years to be a truly, deeply, holistic treatment that is on a unique level. We teach you to chakra balance, energy clearing and bring the spiritual aspects to this treatment. People who have taken this course with us report that once their clients have had this Indian Head Massage, they will never go to anyone else! How do we know? People who have studied with us tell us again and again and again. We believe you need two days to truly get this level of treatment. The better your treatment the more clients you will have and the more clients who will stay loyal to you. Excellence matters, holism matters, energy balance matters. 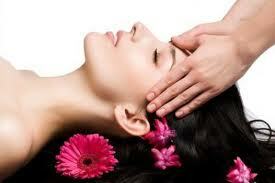 The spiritual aspects of Indian Head Massage which you can decide to use in whatever way suits you. Green Tara Post-Graduate Certificate in Indian Head Massage . You can progress onto the ITEC Diploma in Indian Head Massage if you choose. While Indian Head Massage can be taken for personal use, students must have Anatomy & Physiology and ITEC Unit 22 Legality and Client Care, to practice professionally and to gain insurance cover. Lunch- You are welcome to bring a packed lunch or to go out to the many cafes, we will take a 1 hour lunch break. Please bring a snack for the morning break. 1) Post: You may post payments to our office as follows: M. Fagan, Green Tara College, Preston Place, 38 Trimgate Street, Navan, Co. Meath. When Posting: Please supply your email and phone numbers so we can get in contact with you, thanking you.